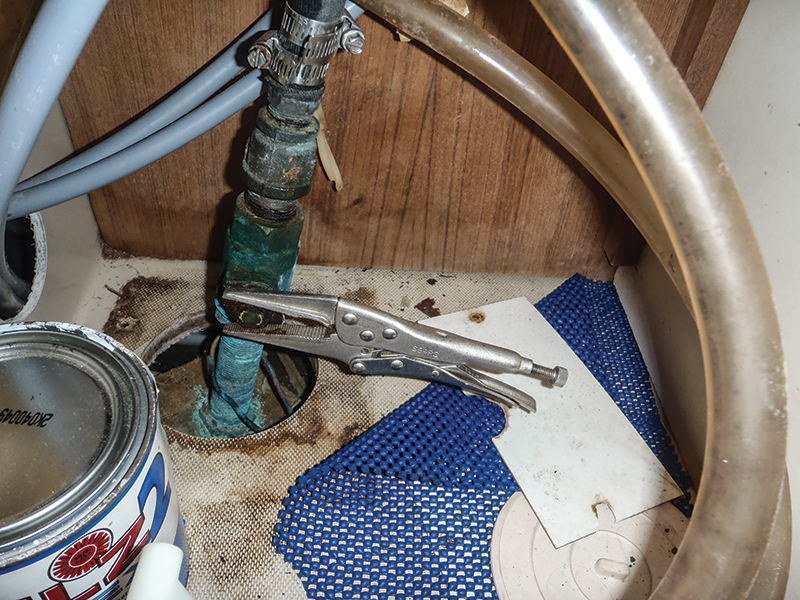 Out of sight shouldn't mean out of mind when it comes to the all-important through-hull valves. 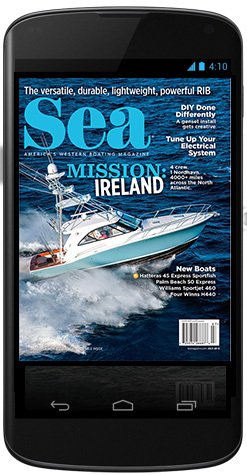 Tucked away in the dim recesses of the bilge, seacocks too often don’t get a second thought with regard to preventive maintenance or inspections — until they fail to operate or even break off in a boat owner’s hand during operation. It happens. I’ve seen it and it isn’t pretty. So what makes up a good seacock inspection? Read on. 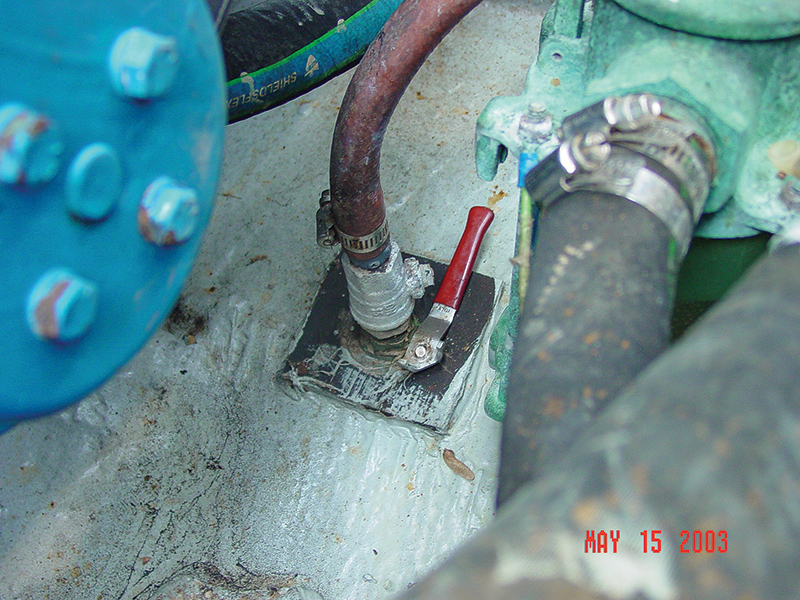 a seacock, which is simply a valve that controls water entry or discharge through the hull. Industry standards for seacocks state they must be constructed of marine-grade materials (e.g., bronze or Marelon) and operated by a lever-type handle through a 90-degree arc, which gives a clear indication of whether the seacock is open or shut. 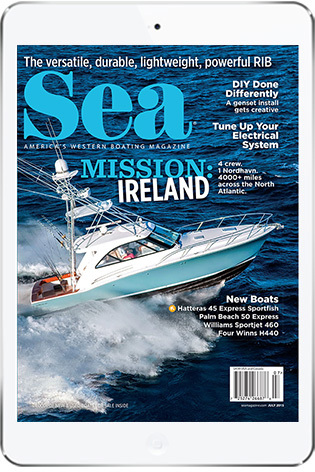 Acceptable seacocks will be designed and constructed to meet ANSI/UL 1121, Marine Through-Hull Fittings and Sea-Valves and American Boat and Yacht Council’s (ABYC) Standard H-27 Seacocks, Thru-Hull Fittings and Drain Plugs. 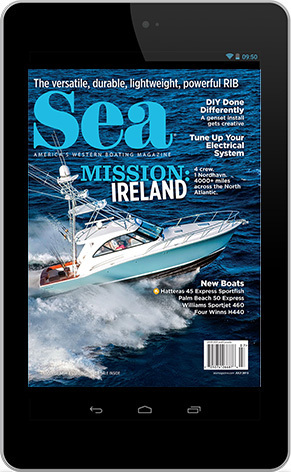 What to look for if your boat is hauled, start the seacock inspection at the through-hull. Look for leaks, cracks, broken bedding seams and other such issues. Bronze through-hulls that are bright and shiny or pinkish in color should be inspected further for dezincification/corrosion issues. Next, conduct a visual inspection of the seacock and look for anything unusual, such as leaks, damaged or missing components (e.g., handles), and corrosion. Verify that a seacock backing block has been installed and that the block is tight, leak free, properly sized — its surface area is greater than that of the seacock flange — and, in the case of wood blocks, rot free. Check the seacock for smooth operation. Ensure it not only opens and closes but can be easily reached in an emergency and that the handle can be moved through its full range of operation. On a hauled boat, verify operation of the seacock visually by shining a flashlight into the through-hull from the outside while someone inside opens and closes it. You can also pull the seacock hose to verify operation, which takes more time but allows you to better check the condition of the hose itself. If a seacock is difficult to reach, consider installing a pull rod or other such device. Seacocks that are frozen or difficult to operate should be serviced immediately to return them to full operation. Old, deteriorated hoses and corroded hose clamps are other seacock-related issues to be checked. 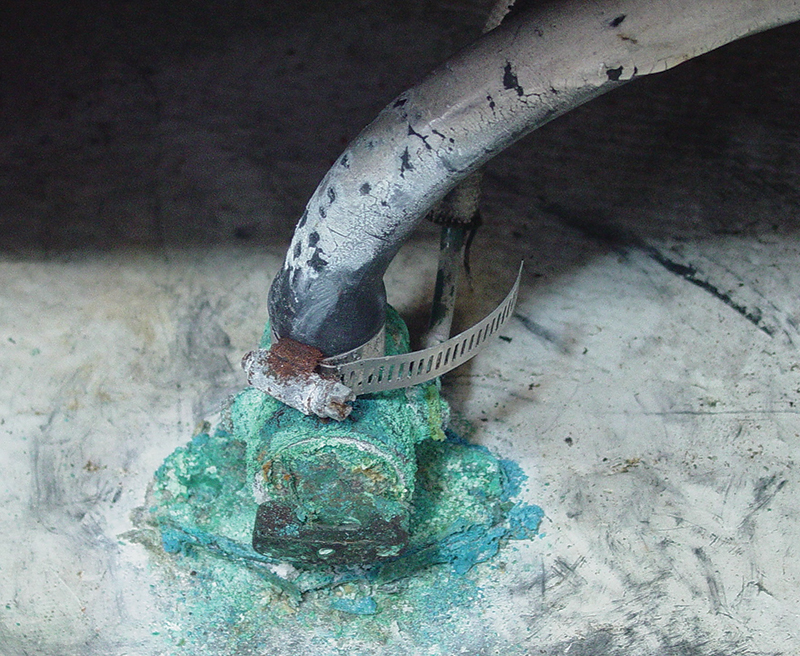 Hoses should be supple and exhibit no signs of deterioration, such as cracks and splits, while hose clamps should be tight and free of corrosion. Installation of double hose clamps is also recommended if there is sufficient hose barb to allow it. 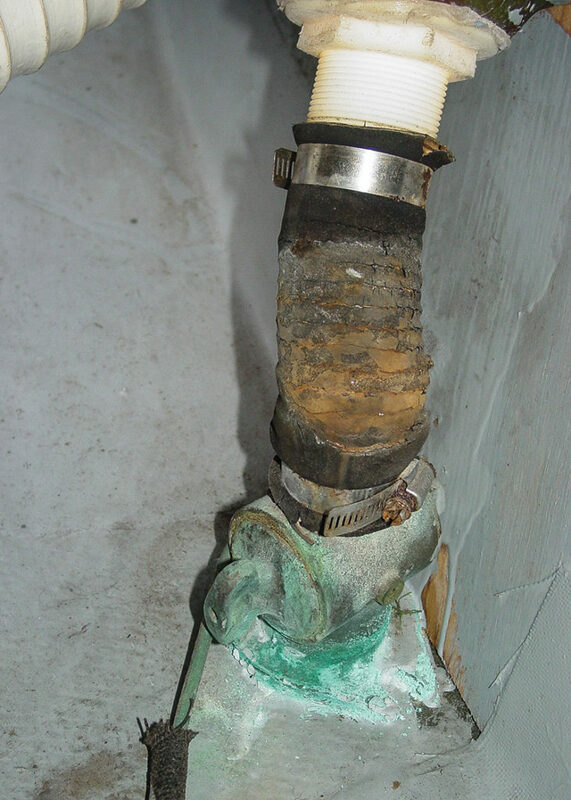 Maintenance should include exercising the valve monthly and greasing it (if applicable) annually. – Equipment condition and sizing. – Familiarity with your type of vessel. – Respect the yard’s schedule. – Your subcontractor needs to carry his own insurance. – Respect the yard’s personnel. – Inspect all work prior to signing off on the bill. Ed. Note: Both of these lists were taken from a story in our March 2016 issue. Read the whole story at seamagazine.com/the-boatyard-boogie.